Concluding our discussion on how looking at clients tax returns provides value, maximizing deductions from IRAs and other retirement plans. How to ensure clients are getting the maximum deductions from their gross income, especially on IRAs and 401(k)s.
In my previous post, the second in this three-part series, we began a discussion of income tax deductions included on IRS Form 1040, lines 23-27. In this article, we’ll finish with the deductions from gross income on lines 28-35 of the 1040. To reiterate why looking at a client’s tax return is important, recall that I’m not suggesting an advisor should replace a client’s CPA. I am suggesting that an advisor who learns more about the tax code will provide more value to the client, showcase the advisor’s value and may place an advisor in a better position to serve as team coordinator for clients with multiple advisors. Elective deferrals to a 401(k) plan, 403(b) plan, section 457 plan, SIMPLE plan, or the federal Thrift Savings Plan are excluded from box 1 of the W-2. As a result, these amounts are excluded from gross income. In addition, self-employed individuals who file Schedule C can list retirement plan contributions in Part II, Expenses. For the self-employed who do not use one of the previously mentioned options, line 28 of the 1040 is available. Regardless of the method chosen, the amount contributed reduces a person’s income tax liability. If the taxpayer was self-employed, they may be able to deduct the amount paid for health insurance. This deduction also includes the amount paid for a spouse and dependents. The insurance can also cover a child who is under age 27 at year end, even if the child is not a dependent. The taxpayer was self-employed and had a net profit for the year reported on Schedule C, C-EZ, or F.
The taxpayer was a partner with net earnings from self-employment. The taxpayer used one of the optional methods to figure net earnings from self-employment on Schedule SE. The taxpayer received wages in 2014 from an S Corporation in which he was a more-than-2% shareholder. Health insurance premiums paid or reimbursed by the S Corporation are shown as wages on Form W-2. The insurance plan must be established under the business. In the case of a sole proprietorship, the policy can be in the name of the person or the business. In a partnership, the policy can be in the name of either partner. There are several additional rules which must be met to obtain this deduction. For more information, please refer to Publication 535, Business Expenses, Chapter Six, Insurance. You may also refer to the instructions for Form 1040, Line 29. The information for this line is derived from Form 1099-INT or Form 1099-OID. Penalties include interest or principal forfeited because of an early withdrawal from a CD, which is deductible from gross income. For more on this, please refer to the instructions for tax year 2015 Forms 1099-INT and 1099-OID. Taxpayers who are required to pay alimony under a divorce or separation agreement may be able to deduct the amount paid. The person receiving the alimony may be required to claim the amount paid as taxable income and must provide their Social Security number to the person making the payments or face a possible penalty. There are many rules governing the traditional IRA. Because of this, we’ll focus on the rules that determine if IRA contributions are deductible and how to claim the deduction. Was not covered under a retirement plan at work. In the case of a married couple where one spouse has no earned income, an IRA deduction is still possible. Sally has no earned income, and they file a joint tax return. Harry can deduct the maximum IRA contribution ($5,500 in 2014). Sally can also deduct the maximum even though she has no earned income. How? Sally can add Harry’s compensation, reduced by the amount of his IRA contribution ($40,000 – $5,500 = $34,500), to her own compensation ($0), for the purpose of calculating her eligible contribution. Also, since neither spouse is covered by an employer retirement plan, the contribution is deductible. For more on the rules governing IRAs, refer to IRS Publication 590-A. A deduction for student loan interest is available only if all of the following qualifications are met. Interest was paid during the tax year on a qualified student loan (see link to Publication 970 below). Taxpayer’s filing status is any status except Married Filing Separately. Modified adjusted gross income is less than: $80,000 if single, head of household, or qualifying widow(er); or $160,000 if married filing jointly. Taxpayer and spouse, if filing jointly, are not claimed on another person’s tax return for that year. For more information, or to determine the amount of deductible student loan interest, refer to the instructions for Form 1040 or IRS Publication 970, Tax Benefits for Education. The amount of tuition and fees deductible is derived from Form 8917. This includes qualified tuition and fees for the taxpayer, the taxpayer’s spouse, or dependents. This deduction is eliminated for taxpayers whose gross income minus deductions (Form 1040, line 22 minus line 36) exceeds $80,000 or $160,000 if married filing jointly. Electricity, natural gas, or potable water produced by the taxpayer in the U.S. There is much more that could be written on this. For more information, please refer to the instructions for Form 1040 or the instructions for Form 8903. This concludes our discussion on the deductions from gross income found on IRS Form 1040, lines 23-35. 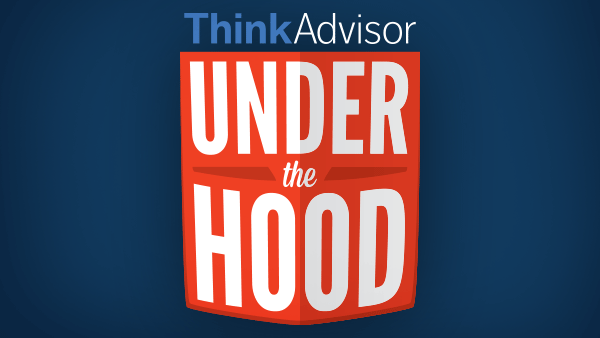 The rules are complex, but the additional value an advisor can bring to a client is significant. Also, the tax filing deadline may be behind us, but the best time to help a client plan for taxes is during the tax year. Hopefully, this has helped provide a better understanding of a complex subject, thereby enabling you to better advise your clients.